Xiaomi India's Managing Director, Manu Kumar Jain, has dropped a hint about a new phone launching next month. According to his tweet, this will be Xiaomi's first dual-camera phone in India. We don't think it might be the Mi 6, as Xiaomi has made it clear that its flagships won't be launched in India, because according to the Chinese OEM, only budget devices sell in big numbers here. 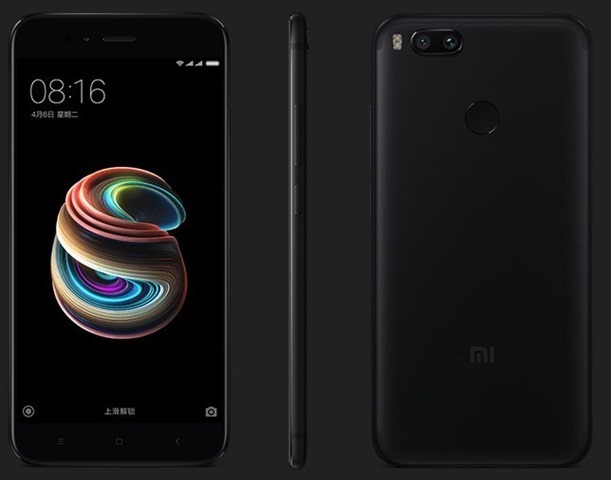 That leaves us with basically one option, the Xiaomi Mi 5X, which was launched in China about 3 weeks ago. The phone sports a 5.5-inch 1080p Full HD LTPS display with 2.5D curved glass, and runs on Android 7.1.1 Nougat with MIUI 8 on top. The Mi 5X is powered by a Qualcomm Snapdragon 625 processor which has 8-cores clocked at 2.0GHz, with an Adreno 506 GPU and 4GB of RAM. The device has 64GB of internal storage, which can be expanded up to 128GB via a microSD slot which is part of a Hybrid Dual SIM card tray. The Mi 5X has a rear placed fingerprint scanner, an infrared sensor on the top, a USB Type C port and is backed by a 3080mAh battery. The highlight of the phone is the dual-cameras on the rear, which comprises of a 12 megapixels wide-angle lens with 1.25μm pixel size, an f/2.2 aperture, and a telephoto lens which is also a 12 megapixels camera with 1.0μm pixel size, an f/2.6 aperture, dual-tone LED flash and supports PDAF (Phase Detect Auto Focus). The selfie lens on the device is a 5 megapixel front camera.